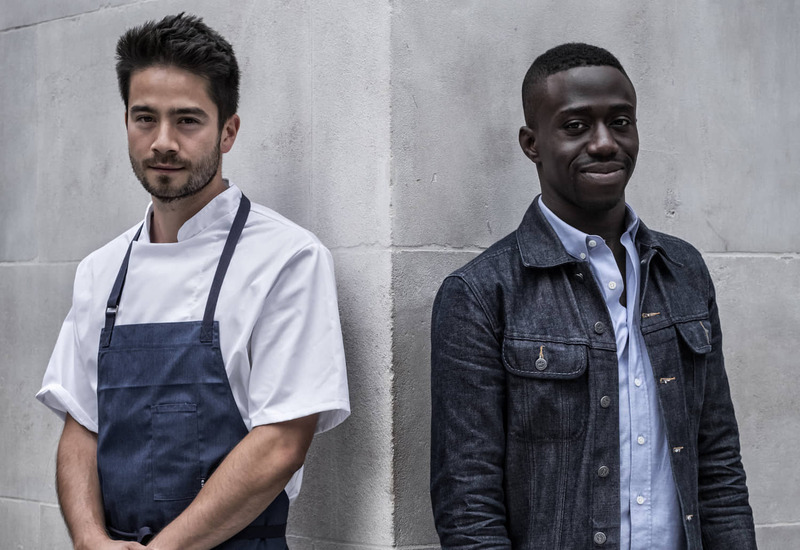 The word “intense” is frequently used by friends and colleagues to describe Jeremy Chan, the 31-year-old philosopher-chef behind restaurant Ikoyi, which serves global interpretations of West African cuisine in the center of London. Chan, who studied languages and philosophy at Princeton University before embarking on — and then quickly abandoning — a career in finance, had only been cooking for five years when his best friend, Ire Hassan-Odukale, suggested opening a Nigerian restaurant together. 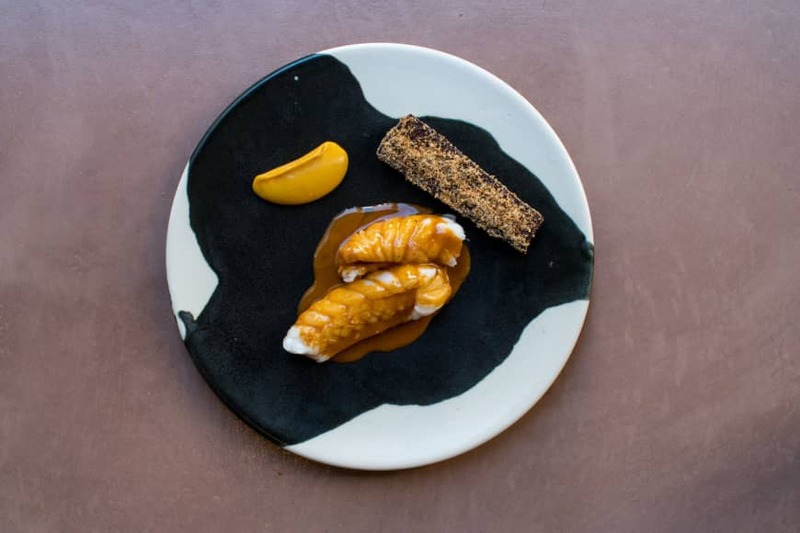 Barely a year after launching in 2017, Ikoyi earned its first Michelin star, and the chef credits his rapid rise to the “freakish energy and focus” that led him to seek answers to technical questions “like a perverted drug addict” during apprenticeships at top restaurants such as Copenhagen’s Noma and Dinner by Heston Blumenthal in London. It’s 9 a.m. in London during our phone interview, and I can hear the tap-tap-tap of Chan’s knife on the cutting board as he preps vegetables for lunch service. Forty minutes into our conversation, I feel as though I’m falling through a conceptual rabbit hole as Chan describes his theory of universal deliciousness and aesthetics, which forms the basis of his cooking. If Massimo Bottura is the Picasso of cuisine, Jeremy Chan is a cross between linguist Noam Chomsky, who formulated the theory of universal grammar, and painter Mark Rothko, who used bold colors to express basic human emotions. Take, for example, Ikoyi’s famously photogenic plantain dish. 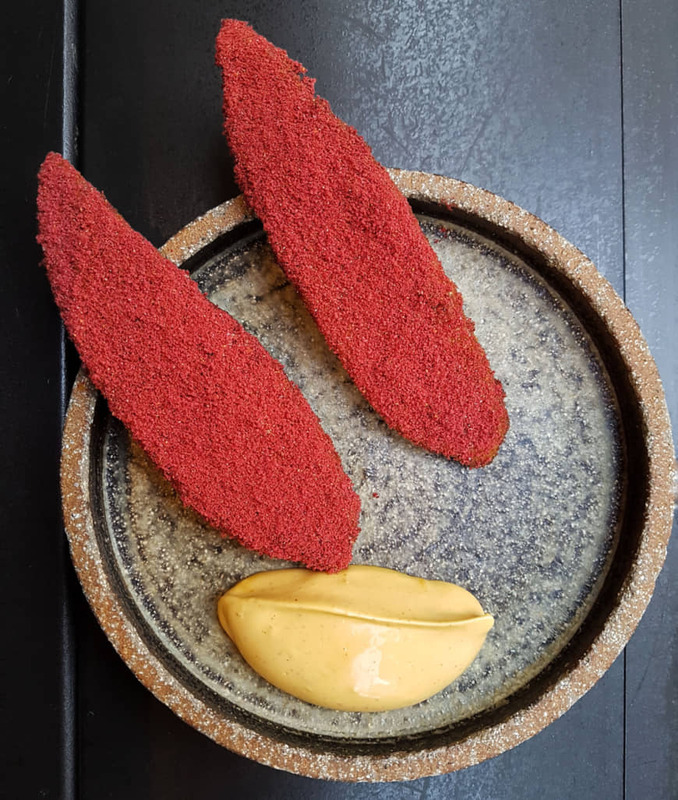 It arrives at the table looking like a piece of abstract art — two oblong strips dusted in a Day-Glo magenta powder made from dehydrated raspberries and salt. “It’s extremely raw in color because that’s an aesthetic way of connecting with people primally,” he says. Served with a smooth emulsion of smoked scotch bonnet and a pickling liquor scented with lavender, the first bite makes you feel as though you’re tasting in Technicolor. There’s sweetness from the overripe plantain, umami from the caramelized chilies, bitterness from the peppercorns and a slow, creeping burn that lingers on the palate like embers in a hearth. The effect sums up what Chan is trying to achieve with his cooking: “Clear, no bull—— impact. Let’s get to the core of what an ingredient is,” he says. Before the Ikoyi project, however, the flavors of West Africa were largely unknown to him. The son of a Chinese lawyer and a Canadian ballet dancer, Chan spent his childhood in Hong Kong and grew up moving between Canada, the U.K. and the U.S. From an early age, he was exposed to an array of exotic ingredients, and his father encouraged him to taste everything. “That formed the way I look at the world and food; I never look at anything based on where it’s from or how it’s used, I just try it for myself and listen to my own instincts,” he says. After joining a private equity company in Europe, Chan was unhappy with the work and found his thoughts drifting back to food, relishing memories of meals spent with his family — a relatively rare occurrence during his adolescence. Chan realized that he could channel that sentiment into the hospitality industry and threw himself into learning how to cook at the highest level. He devoured books and got as much hands-on training as possible. The original idea for Ikoyi, which is named after a neighborhood in Lagos, Nigeria, was to do playful takes on Nigerian food for the mass market. 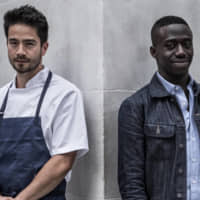 But the more that Chan and his business partner Hassan-Odukale delved into the products, history and ethnography of the region, their focus shifted to creating a new style of cuisine that would reflect the “narrative of West Africa being multicultural, kind of like reading ‘Don Quixote,'” where the line between authorship and interpretation is blurred. Chan spent hours at the British Library, poring over resources on Africa and volumes such as “African Ethnobotany in the Americas.” He consulted professor James McCann from Boston University, a specialist in the history of ancient grains and African cuisine, and contacted Japan’s Umami Information Center. Then, he got to work in the kitchen. When I visited Ikoyi in late April, I was struck by the originality of the food. The combination of the flavors — sharp, earthy and spicy, sweet and tart — together with the boldness of the presentation resulted in a visceral effect that I struggle to put into words. Universal deliciousness, it seems, is more easily understood by the palate than the brain. “Really what it’s about is raw creativity, being inspired by these ingredients — the overwhelming amount of spice and umami and aromatics that are almost medicinal, the hormonal effect that they have on your body,” Chan says. 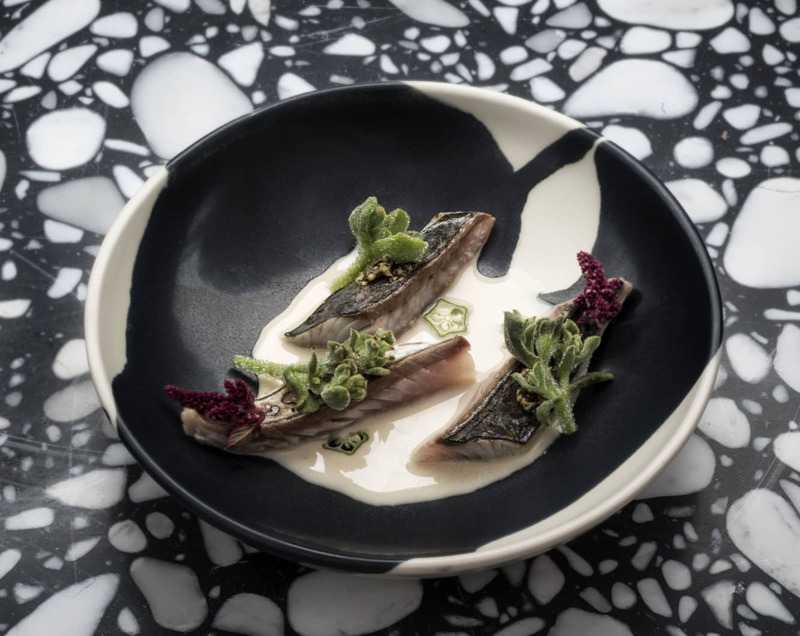 Tokyoites will have the chance to experience Ikoyi cuisine when Chan brings his arsenal of West African ingredients to restaurant Florilege for lunch on Dec. 13. For more details and reservations, visit www.facebook.com/Florilege-603737753085545.